It’s easy to make fun of BlackBerry’s embrace of Android in an attempt to revive its business. 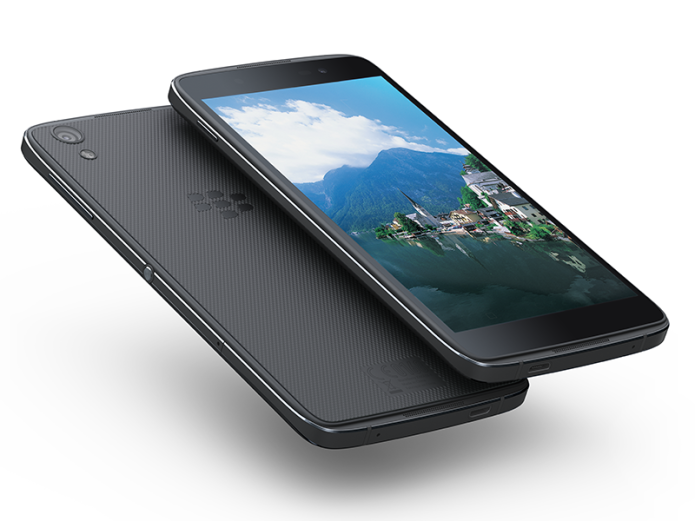 However, its newest phone, the DTek50, shows that by adding what BlackBerry is known for —legendary security — it can successfully differentiate itself from other smartphones. While the $299 DTek50 could be improved in a few areas, it’s a good template for BlackBerry’s future success. If you think you’ve seen the DTek50 before, it’s probably because you have. BlackBerry’s newest smartphone is essentially the same as the Alcatel Idol 4. Both have 5.2-inch displays, an aluminum frame with chamfered edges, two speakers and an 8-megapixel camera on the front, and a 13-MP camera with a two-tone flash in the upper left corner of the back. And they both have a round button on the right side whose action can be customized.